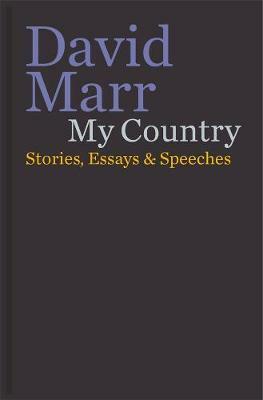 David Marr is the rarest of breeds- one of Australia's most unflinching, forensic reporters of political controversy, and one of its most subtle and eloquent biographers. In Marr's hands, those things we call reportage and commentary are elevated to artful and illuminating chronicles of our time. 'My country is the subject that interests me most and I have spent my career trying to untangle it's mysteries.' -David Marr.